Servicing Your Car? 3 Typical Upsells to Avoid! You’d like the best for your car. It takes you from A – B as well as looks after your safety and comfort in traveling. Obviously you would like to get everything and anything which will make your vehicle the perfect car on the highway. Car Workshops and mechanics will occasionally take advantage of this mindset. They’ll offer a number of services to your car that may be appealing, particularly to motorists who might not really know much about car engines or car mechanics. Rather than visiting a car repair shop ignorantly, stroll in with confidence, knowing precisely what your vehicle requires. The very first, most essential tip would be to set a routine to take proper car of your vehicle in the beginning. Ensure that it stays neat and fix any damages instantly. Don’t disregard strange sounds or engine warnings you don’t understand. Keep track of your petrol use, mileage, tire wear, and life of the battery thoroughly. Obtain regular oil changes and carry out suggested manufacturer servicing with persistence. If you’re looking after your automobile, you will then be in a position to with certainty reject the three subsequent most typical upsells offered by mechanics and service shops. 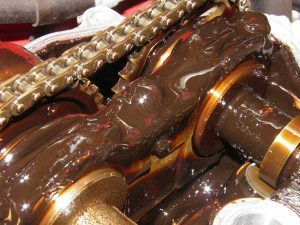 Engine “Sludge” Flush – You might hear that the engine has considerable amounts of accumulation collecting inside its compartments. It is a fact that grime, oil, debris along with other deposits may remain behind inside your car engine, in fact regular oil replacements and tune-ups will keep your vehicle from experiencing considerable amounts of sludge. Some types of vehicles and motors can are afflicted by higher sludge build up, plus an engine flush might be required following a fair bit of mileage has been attained, but look at your owner’s manual or online car discussion boards for motorists of the same brand name to be certain. For the majority of motorists the standard oil changes require lots of upkeep to help keep sludge under control – an expensive Engine Flush is simply a way to earn a a bit more cash from you! Should you be worried about build up, think about rather adding a higher efficiency oil additive such as CleanBoost EMT. These type of oil additives keep your engine lubricated and cooler, reducing friction and improving engine power. Additionally they reduce the level of sludge along with other accumulation within your car engine. 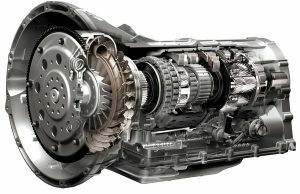 Transmission / Gearbox Flush – similarly you might be recommended to obtain a transmission cleanse more often than is required. You’ll need a transmission flush per 50,000 kilometers or so, to help keep your gears moving without friction. Keeping that oil as well as filter thoroughly clean is crucial, however, you might not require a gearbox flush each and every time you are doing vehicle servicing. If you want to safeguard your transmission, cut costs, and steer clear of expensive gearbox flushes more frequently than is completely needed then obtain a transmission liquid conditioner. Just like a fuel or oil chemical, these types of conditioners reduce friction and permit gears to change more easily inside your gearbox. Fuel Injection Cleaning – One serious problem that may happen with your engine will be the deposit of additional chemicals which don’t burn up throughout combustion process. Those chemical substances get left behind and may cause damage to your car engine. Rather than paying for costly fuel injection services, prevent the problem well before it begins! Obtain a top quality fuel additive or supplement such as Clean Boost Maxx and make a simple change by adding to your petrol frequently. The additive in fact bonds and modifies your fuel making it burn cleaner and much more effectively. Less chemicals remain behind and your motor will stay clean and secure for use!